Travellers make up a proportion of the Vintage Lorry Funerals business as David Hall has developed a reputation within their community for creating memorable Floral Tribute layouts and a simple no nonsense communicative style that Travellers like. Traveller funerals were there at the very start of the business in 2002 accounting for 2 of the first 4 funerals undertaken by the lorry. The opportunity to carry a high profile Lady Traveller for his second funeral, by David’s own admission, came earlier in his funeral career than he would have wished. As David explained, ‘It was like a 17 year old Footballer making his debut in the World Cup Finals, and I’m no Pele.’ David had no contact with the Family and the Leyland Beaver inched slowly into the Traveller Encampment, near Swindon, with David having no knowledge of what flowers were to be loaded. Gaps between the Travellers vehicles were very narrow and Travellers watched David struggle to get past cars with less than one inch clearance, rather than move their vehicles. The flowers were thrown onto the vehicle by Travellers and David’s perception was that he was being ostracised because he was not a Traveller. David felt uncomfortable and the chorus of Leon Russell and the Shelter People’s ‘Stranger in a Strange Land’ was reverberating inside David’s head. 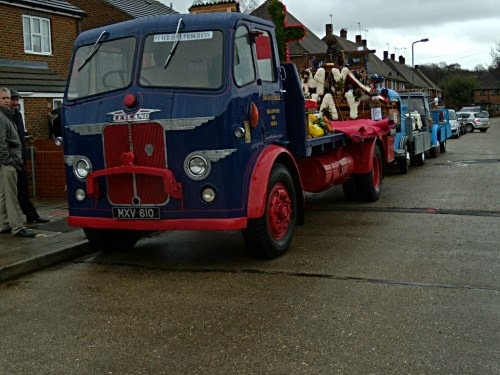 As the 1950 Leyland Beaver pulled into Abingdon there were hundreds of mourners all dressed completely in black and David had to drive into the crowd to park the lorry in a position to off-load the white casket. Everyone wanted to touch the lorry, the crowd around the cab was 6 deep and David couldn’t open the door to get out of the lorry. It took David’s wife over two days to remove all the finger prints. So when the second Traveller funeral arrived for a Leeds Family David insisted from the start that he wanted to be treated as if he were part of the Family. David arrived in Keighley around 1730 hours and someone came up to him and asked, ‘Are you hungry Driver?’ Somebody else arrived in 20 minutes with a Fish Supper and would take no payment. As David was washing the lorry in the evening sunlight a young boy asked David, ‘How much is the lorry worth?’ David said he wasn’t sure, but he had seen similar vehicles for sale at £10,000. David was surprised when his bed for the evening turned out to be the chair in front of the coal fire, however, he did recall insisting that he should be treated as if he was part of the Family. At 0700 hours there was a knock on the window and someone, who David had not met, handed in a bacon butty for his breakfast. David was directed to follow a 4×4 vehicle to the house of the Deceased and was instructed to park on the pavement. On this occasion the lorry was booked to only carry the flowers with the Deceased’s coffin being transported in a Horse Drawn Carriage. The Leyland Beaver was chosen specifically because The Deceased’s favourite colour was blue and John, the man who had phoned David initially acted as the liaison with other people. The Widow made John the first cup of tea and David was honoured when he was offered the second cup of tea. People gave their flowers to John and John instructed David where to position them on the lorry deck, those relations closest to the Deceased had their Floral Tributes loaded nearer the front of the deck closer to the headboard. In the cemetery after the interment John gave David a roll of notes, which he put in his shirt pocket as his main focus at the time was fixing the sheet in place as the wind was gaining strength in the late afternoon. John asked David to count the money as he was roping the sheet down and David replied that he trusted that the money would be right. John insisted that David should count the money as it was Traveller Culture to do so. David was unaccustomed to counting notes, and started to turn over the £20 notes slowly one by one. Totally frustrated John grabbed the bundle of notes and counted them quickly like a card player shuffling a deck of cards. Having finally secured the sheet, David was having a drink from his flask when he was approached by two hugely built men in heavy overcoats. One man pulled two massive rolls of money from the pockets on the overcoat and said, ‘Here’s £10,000 for your motor.’ David was perplexed, however, John was in close proximity and stepped between David and the two men saying, ‘The young lad last night asked what the motor was worth, he never ascertained if it was for sale, there was no shake of hands.’ David had never seen such hugely built guys so disappointed and these weren’t the type of guys who normally take disappointment in their stride. However, taking a broader view David believed that progress had been made in that he had direct contact with the Family. Fast forward 10 years on and Traveller Funerals are treated just like any other funeral in that a Family member provides information on the Florists involved, who are relaxed to provide information once David has confirmed the member of the Family he had spoken with. 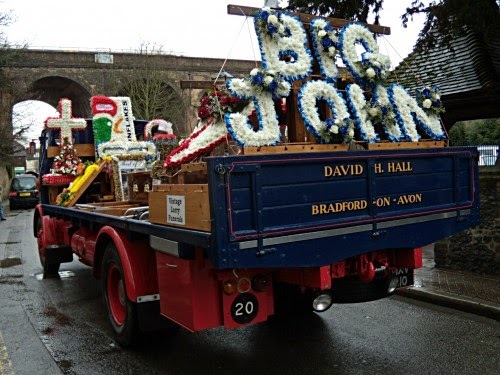 A good example of a Traveller’s funeral working brilliantly was the final journey of John Buckley who had tragically passed away following an accident at home. His Sister Mary Lee provided information on the flowers which included exquisite giant wire framed ‘Names’ including ‘BIG JOHN’. A ‘Cornflake Box’ Tribute was ordered because when friends visited John in hospital he would always say, ‘I’d love a bowl of cornflakes.’ Cognisant that the ‘Cornflake’ Tribute would accompany a ‘Cup & Saucer’ Tribute, David created a Breakfast Table with a table cloth. When David arrived at 0730 hours, Floral Tributes had already started to be positioned on the grass area in front of the house. Mary Lee provided David with a cup of tea and introduced two men who had been assigned to work for David whilst he was assembling the Floral Tributes on the lorry. At 0930 hours two smaller lorries arrived to load friends and more distant Family members flowers. The agreement with Mary included the provision that David could have the choice of requesting any extra tributes from the grass area if these would enhance the display on his lorry beyond those included in the layout sketch previously agreed by Mary. David approached the men loading the smaller lorries who willingly gave up any specific tribute that David requested. 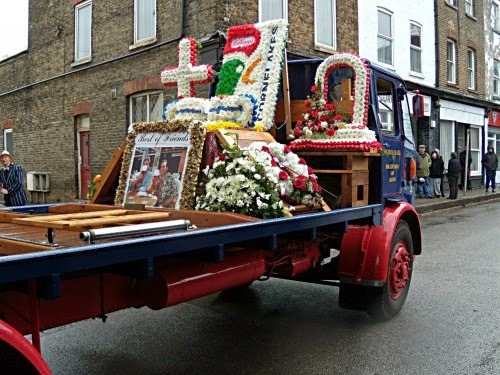 On a Travellers funeral no person will look inside the vintage lorry’s cab without first gaining David’s expressed permission. The cab door is never locked and valuables including a digital camera are often in plain sight, however, nothing has ever been taken. Travellers can get a bad name, however, in David’s opinion we could all learn from how a Traveller respects their dead.